After testing out a ton of different dart boards currently on the market, we’ve have selected ten of the best ones. Here’s what we think about them and why they’re so good. Out of all the bristle dart boards on the market, this one is the indisputable king. There are many reasons for this but let’s start with some of the most major ones. The density of the sisal used for the production of this dart board is incredibly high, allowing it to be extremely durable and reducing bounce outs to a minimum. In addition to that, the triangular wiring used further reduces bounce outs as does the staple-free design. With this, the amount of ‘dead space’ on the board is kept to a minimum, and there are almost no bounce outs to be had – the darts will stick nearly every time. Of course, this doesn’t hold true for all darts. If you’re using darts with softer, shorter tips, or plastic tips, they will bounce out more frequently due to the high density of the sisal. This is isn’t common, but it’s worth keeping in mind. The board does cost quite a bit more than average, so if you’re on a budget, you might want to think twice. However, it’s worth paying for high quality and this dart board certainly fits that description – you will have trouble finding another model as good as this one. For more detailed information about this dartboard, refer to the article here. 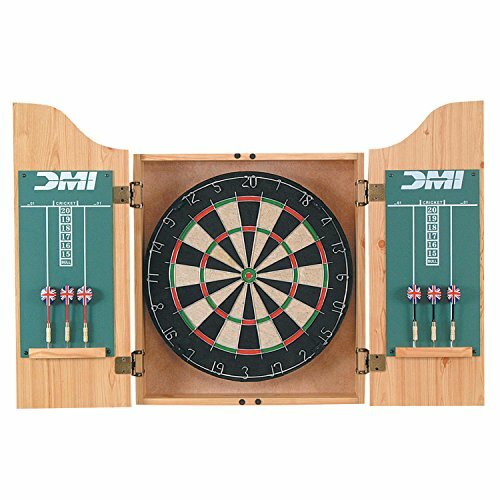 Here we have a great board for casual players – it provides all the fun of regular dart boards but with almost none of the risks. It is almost ideal for your children or your friends during fun, drunken parties. Or at least that should be the case. While this board does have some great upsides, safety might not be one of them. But first, we’ll start with some of the positives. 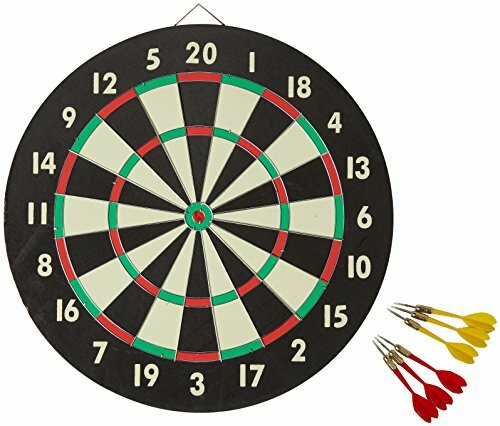 The board is made to look like a regular dart board with correct markings and a size of approximately 16 inches in diameter. Not quite regulation-sized, but it is close enough. Of course, this board was not intended for use by professional dart players but for recreational purposes. 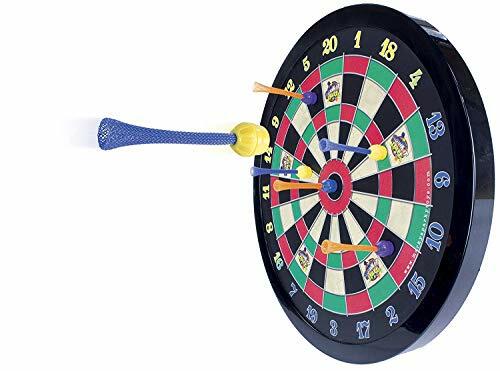 For that it is decent, and almost anyone can just pick up and play darts, especially since the board comes with six special magnetic darts included. Both the board and the darts are highly durable and nearly impossible to break during play, so they will last you for quite a while. However, the darts might be liable to break other things along the way. You see, the darts are quite heavy which means they still pose a safety hazard despite not being able to impale anyone. In addition to that, they also have a lot of small parts so you should make sure that your children won’t be liable to swallow them if you’re buying this board for them. Still, it’s a great casual board and the best magnetic board out there. 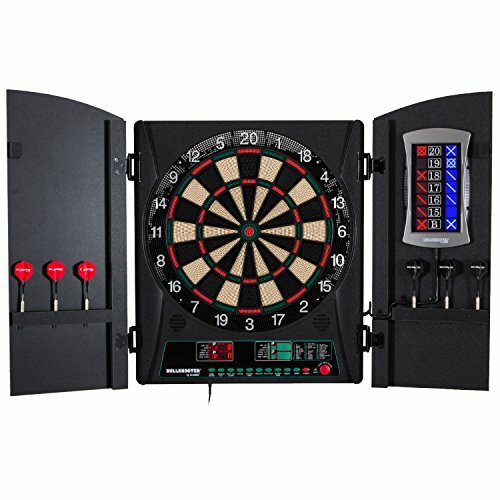 Here we have a regulation-sized electronic dart board that comes at a fairly affordable price for such a product while offering loads of good options and extra features. It is not without its faults though, but we’ll get to that. 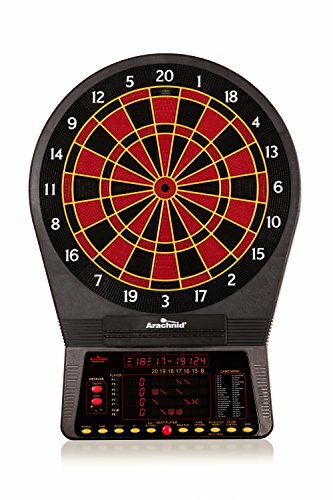 This electronic dart board is intended for use with up to eight players and boasts a total of 40 pre-programmed game modes with 179 variations in total. Quite impressive and sure to give you loads of fun. Another great feature that it boasts is the ability to auto-calculate average points per dart for each player after their round ends. You can use this to help improve your game and to see how well you’re doing overall. Among the stranger features of this board is the heckler feature – it will praise or scold players for good and bad throw and has three different levels of harshness to boot. It’s nothing incredibly useful, but it is quite fun for parties and gatherings. Speaking of which, this is a highly portable board that can be taken anywhere – on a trip or to a fun get-together. It’s liable to last for a long time as well since it’s designed to be highly durable and the density of the holes means that bounce-outs are also reduced to a minimum. Well, what’s there not to like? For starters, the darts that come with this board are low-quality and prone to breaking, you should get another set for use with it. There are also some problems with improper coring near the bulls-eye and the CPU vs. mode is not worth playing at all. Do you want to know more about Arachnid Cricket Pro 800? Refer to our detailed review here. This is a decent wound paper board that’s cheap as hell but incredibly good for the money and better than most other paper boards with a similar price tag. One of the best features of this dart board is that it’s two games in one. The front features a regular dart board that you’d expect while the back has a baseball dart game on it. The board is quite large as well, with a diameter of 19 inches, while being decently thick as well, at 2 inches. This makes it surprisingly durable for a paper board. The board also comes with a set of six brass darts which are quite good, better than anyone could expect for a price this low. However, this is still a paper board so it will get worn out quickly with regular use. The wiring is not good, sadly, so bounce outs are quite common when you’re playing with it. It also leaves a huge mess near the playing area since the color gets chipped easily. If you’re on a budget and you’re looking for a decent dart board that won’t cost you a lot, this is the one to get. But, with that said, it still can’t hold a candle to some of the more high-quality products out there. This is a beautiful dart board in a nice-looking cabinet that comes at an affordable price. It’s constructed out of yellow poplar wood and features a dark cherry furniture finish, so it’s great to look at and will fit almost any room. The diameter of 18 inches is just the right size for both pros and casual players. The board itself is quite well-made, and it’s incredibly durable, not showing signs of damage even after months of use. It heals surprisingly well. The darts complement the dart board in that regard, and they are also quite durable and well-made. However, the cabinet is a different story. Many users speak of receiving poor units that were missing certain features of the cabinet and the hinges on the cabinet doors are universally poor. If you open and close it a few too many times, they will start to squeak and eventually fall apart. The cabinet is also quite fragile, and it can get scratched or chipped incredibly easy, so you should handle it with care. Still, this is a great deal for the price, and it’s the best wooden dart board we could find on the market at this time. 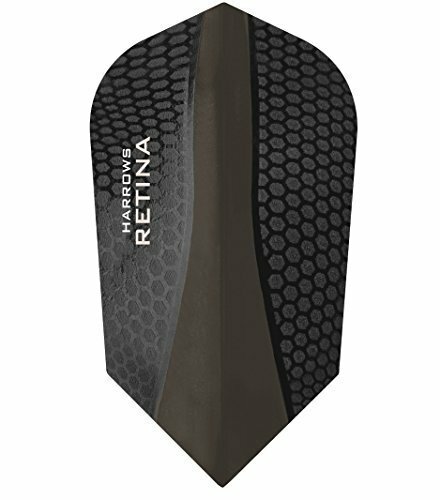 This is one of the best practice dart boards for professional players that you can get right now. It looks great, it feels great, and it comes at an incredibly affordable price for something that’s of such high quality. There are some faults here, of course, but none that are obvious deal breakers. The dart board itself is a bristle board, made out of high-quality sisal and it’s quite dense. The bull’s eye is staple-free, so there will be fewer bounce outs there, but the rest of the wiring on the board does feature staples. Still, it’s high-quality wiring, and it’s durable as is the board itself. 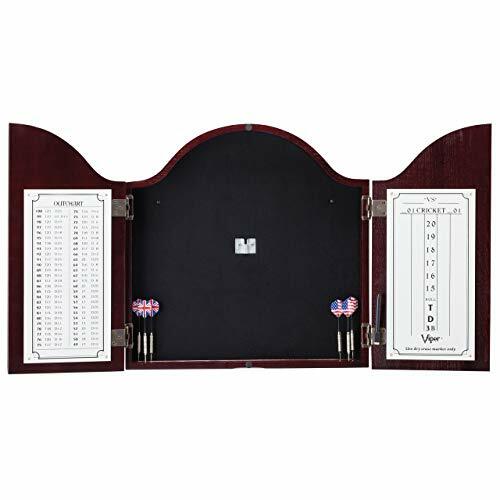 This board cabinet also comes with everything you need to start playing, including a set of six decent darts, a chalkboard for keeping score and some chalk and an eraser. Sadly, those components are not of great quality. The same goes for the cabinet itself – it’s mostly of shoddy craftsmanship, and there have been customer reports of cabinets that couldn’t even be closed properly. It looks good, but that’s about it. Here we have one of the best dart board cabinets around with a decent dart board. It also comes at a price that you simply cannot pass up, making it one of the best deals around as well. The cabinet itself is probably the best part of the deal. It looks great, and it’s quite durable, so you don’t have to worry about the doors falling off the hinges. The doors also feature a couple of magnets that ensure they will stay closed, something that’s greatly appreciated and will reduce the amount of dust pileup. The whole set also includes a set of darts as well as chalk and an eraser for the small score chalkboards on the cabinet. The darts are, sadly, quite poor and will break within a few weeks of use, if not sooner. Still, this is a good product at a great price, and it’s perfect for casual players. 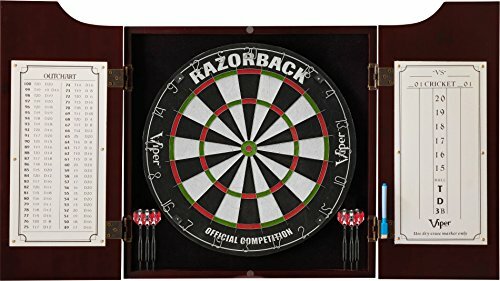 If you’re a casual player that wants to have a quality game of darts from time to time with your friends, this is the board you want to get. 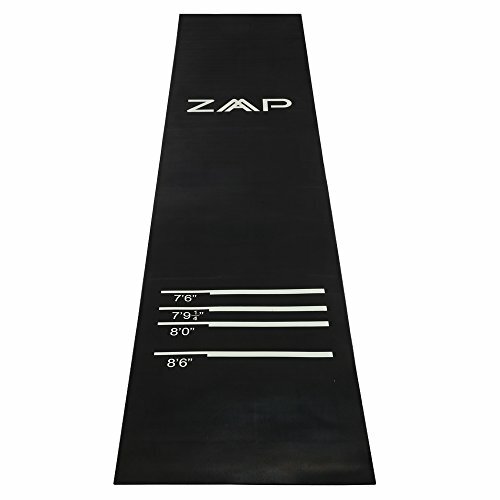 It’s a high-quality board that doesn’t cost too much and ensures that you will almost always be able to hit the mark. There are no staples on the wiring of this dart board meaning that bounce outs are reduced to the bare minimum. For beginners, this is a godsend, and it will make your games much more enjoyable. The bristle board is also quite dense so most darts will be sure to stick to it once thrown instead of falling out or bouncing out. This also makes the board highly durable, and if you’re a casual player, it is bound to last through years of repeated use. If there’s one notably bad thing about this board it’s the setup process – you get three rubber bumpers that are used to set it up. This makes the board quite unstable during play, and you will probably have to find an alternate way to mount it. The price might also seem a bit steep to casual players, but it will pay off in time. It’s better to buy a board that’s a bit pricier but will last for years on end. This is a great dart board for casual settings and parties especially due to its core design. It’s a magnetic board with small, light darts that are practically unable to harm anybody and are almost sure to stick to their mark, causing minimal frustration. If you’re just looking to play a short game of darts with some beer, it’s the best choice around. It is also incredibly easy to mount to the wall and remove so you can mount it elsewhere. 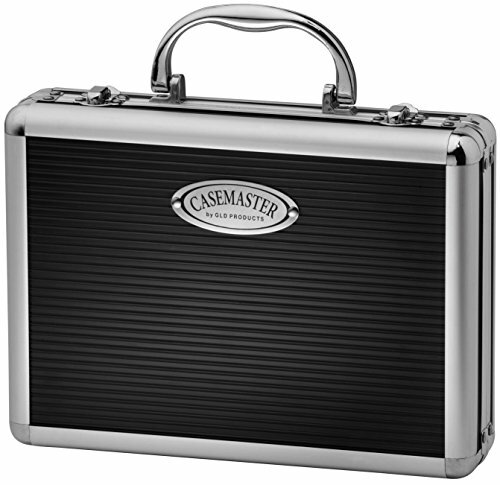 This makes it highly portable and great for bringing on a trip with you, for example. The dart board is a bit small, at only 16 inches, but it is more than enough for around 6 to 8 players to enjoy the game. The strength of the magnets is great as well, so darts are sure to stick to the board most of the time, and there will be practically no bounce outs. The main issue with this dart board, as well as the darts that come with it, is the fact that it’s not nearly durable enough. It won’t last you for a long time and don’t expect to use it daily for years since that just won’t happen. But, for the price, this is a great dart board for parties and probably the best one around right now. After a lot of searching and testing, this is, by far, the best dart board we could find on the market right now. It’s a high-quality bristle dartboard nestled in a great-looking pine cabinet with a mahogany finish and bronze hinges. The board itself is amazing to start with. The wiring is completely staple-free and incredibly durable. The bristle fibers are densely compressed, ensuring that practically all darts will stick and that the board will last for a long time. It’s amazing at healing itself, and you will barely notice any holes even after months of constant use. The board is also made to fit professional specs so you can use it if you are a pro or intend to become one. However, it’s still a great board for casual players considering how forgiving it is when you make a bad throw. 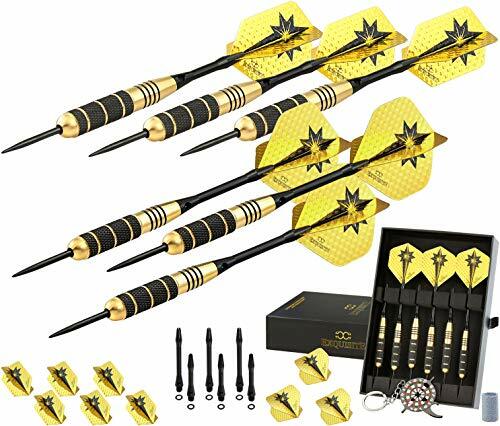 Included with the package is one set of high-quality 22-gram steel tip darts. They are incredibly durable and supremely balanced. Another great extra included is a laser throw line marker. You can see it at any time of day, and it eliminates the need for any floor markers – you will always know where the throwing line is. The only flaws are some imperfections on the outside of the cabinet and the price. It is a steep price to be sure, but paying for quality products like this is always worth it in our opinion. Picking the right dart board might seem easy, but if you take it lightly, you’ll get a low-quality product that won’t last. To help you, here’s a list of the most important things you should consider when you’re shopping for a dart board. One of the first things you need to consider is the size of the dart board that you’re buying. This is important due to many reasons – the amount of space you have available for the board, the number of people you want to be playing with it and so on. It’s especially important if you intend to play professionally – in that case, you should check with the league you intend to join and get a regulation-size dart board. Standard bristle dart boards are usually between 17.5 and 18 inches in diameter, while electronic dart boards usually measure up to 15.5 inches or so. In case you’re a casual player you don’t necessarily need a regulation-sized board – the thing that will decide the size of the board you get is the number of people that will be playing. Regular-sized boards are fine for 2 to 8 people, but you want to get a larger board if there are more than 8 players. Usually, the larger dart boards will list that they can support up to 16 players at one time. Of course, you should also consider the space you have and where you can place the board. We will go into more details about setting up the board later, but it can be difficult if you’re trying to place it on a crowded wall. Measure the space and go for a board whose diameter is at least 10 to 15 inches smaller than the wall space you have available. The materials the board is made of are important for a wide variety of reasons, even if you’re just a casual player of darts. 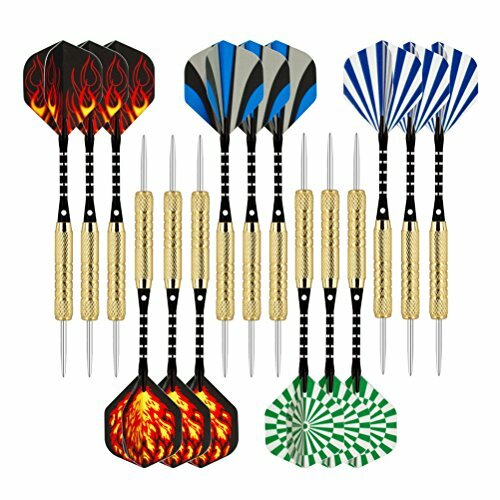 They impact the way you’ll maintain the board and the types of darts that can be used with it as well as a few other things. For starters, boards made out of certain materials will not last as long as other boards. Paper boards will naturally break down and stop being useful a long time before wooden boards start showing any major signs of wear and tear. Bristle boards are better, and they will be quite long-lasting while also requiring minimal maintenance. However, not all bristle boards are created equal, and you should probably go for those made out of high-quality sisal rather than anything else. Wooden boards also have a lot of variety, though they’re mostly made from elm wood. However, oak boards have also gained popularity since they’re a bit easier to maintain than elm ones. Make sure the wooden board you get is real wood, though; there are tons of fake-wood boards out there. Electronic boards will mostly be made out of some plastic, rubber, and metal, though some might use a bit of wood or other materials here and there. This mostly comes down to your personal preference. This is quite an important aspect that’s not talked about enough – the density of a dart board, especially a bristle dart board, will greatly impact the quality. If, for example, the darts have trouble setting in and constantly “bounce out,” the problem probably lies in the low density of the board. The density refers to something different in electronic dart boards though. Since darts don’t pierce them but stick into the pre-existing holes in the board itself, the density of the holes is what matters. The more holes there are, the higher the chance that a dart will stick. Of course, this is not pertinent for some boards, like magnetic ones for example. The depth of the board is also important since the darts might pierce through the board otherwise. A depth of 1.5 inches is usually enough, and that’s how thick most tournament boards are. Of course, this applies primarily to bristle, boards – there’s no risk of piercing with electronic or magnetic boards while wood boards are too hard for most darts to pierce through fully. When referring to the durability of the board, we’re not talking just about the fact that bristle boards are almost always more durable than paper boards. No, here we’re referring to the durability of each individual board within its type. For example, badly made bristle boards will be less durable than well-made ones, and you need to know how to recognize the difference, so you don’t get cheated out of your hard-earned money. The best thing you can do to check if a board is bad is to test it out – sadly, this is rarely possible. You can do it if the store has a test model on display or if you can return the product after it turns out to be bad, but otherwise, it is a bit more difficult to check. There are still things you can look at though. In person, you can press lightly on some parts of the board to see if they’re solid enough or, in the case of bristle boards, if the play area recovers quickly from a light poke as it should. You can also check whether the frame is properly connected to the main portion of the board. If you’re buying online, look at the user reviews, especially from people who’ve had the board for a while, more than a few months. It’s surprising what you’ll find, even when it comes to well-reviewed boards – most reviews are first impressions so the ones detailing the long-term durability might be in the minority. 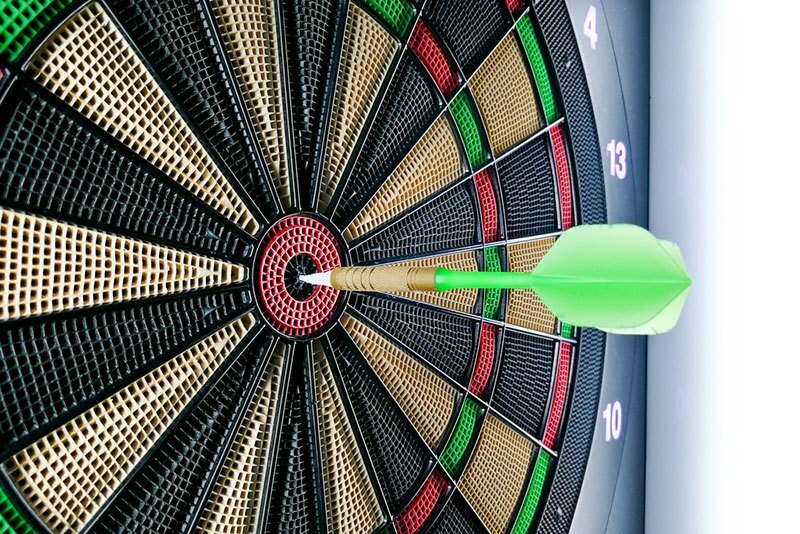 To the layman most dart boards look the same and, thus, most manufacturers are trying to do something special to differentiate their dart boards from those of their competitors. Because of that they often include a lot of unique extra features in the package. These can range from mundane ones, like storage compartments for darts included with a cabinet-style dartboard, to outlandish ones like electronically displaying pictures on the board (if you ever want to throw darts at a particular person’s face, for example) and more. 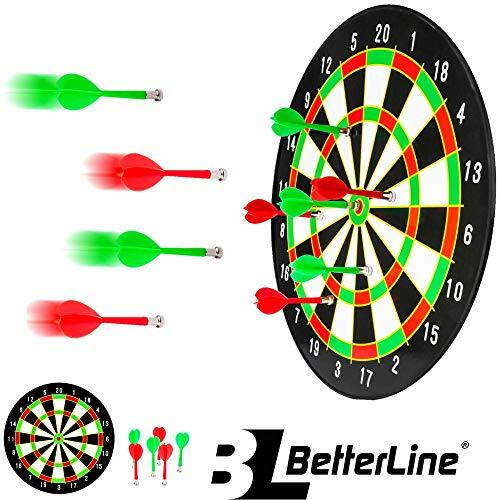 Electronic dart boards have the most additional features out of all types of dart boards. 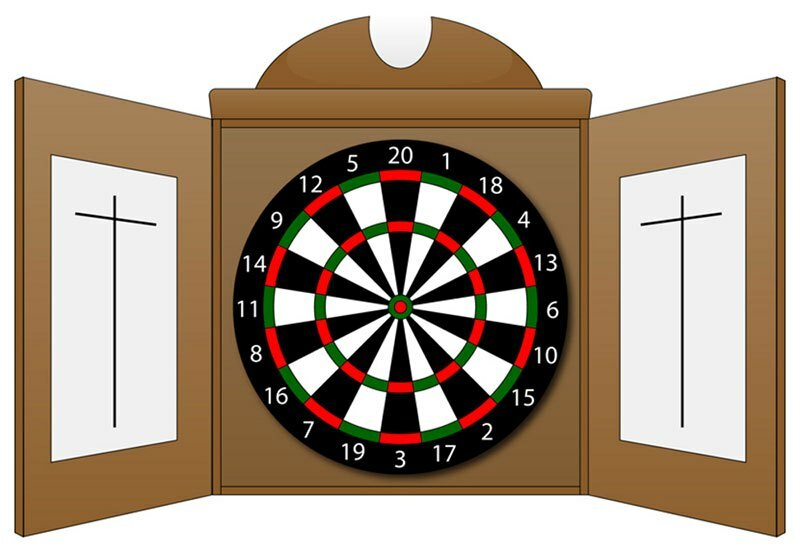 Almost all electronic dart boards automatically track scores in a single game, but others can memorize scores for specific games or specific players. Most of them also have a lot of games pre-programmed, so you don’t have to play the basic “501” all the time. The best ones can also give you a variety of stats on your performance, like average scores and so on – these are great for practicing. There are also boards which can be voice activated and can use voice prompts to tell you whose turn it is or what your score was. If you think these extra features might be useful, get a board that has them but that can significantly up the price. Non-electronic boards usually have more mundane, but useful extra features like wall protectors or score tables that can be rotated. There are many different types of dart boards out there, and you need to choose the one which fits your needs the best before you even consider buying one. Here are some of the most prominent types with all of their upsides and downsides. This is the most common dart board type – if you’ve played darts casually before, the board you used was probably of this type. However, they are not only used by casual players – but they are also considered to be the standard for most major and minor darts tournaments. These boards are made out of thousands of tiny bristles stuffed into a cylinder shape that’s then cut into boards which are further smoothed out by sanders. The process is a bit more complicated, but there’s no need to go into it too much. Most bristle boards today are made out of sisal, imported from Africa. The main benefit these boards have and the reason for their popularity is the fact that they’re low-maintenance. Unlike wooden boards, which need to be cleaned all the time and tend to smell, bristle boards require almost no cleaning and are odorless. Furthermore, bristle boards are incredibly long-lasting. When a dart hits most other types of boards, especially wooden ones, it leaves a hole. In the case of bristle boards, that hole is filled automatically, since the board is made out of tons of tiny bristles. The main downside of these boards is that they can vary wildly regarding quality and you don’t always know what you get. You have to find a manufacturer you can trust and buy only from them. Another issue is, of course, the lack of any automatic score tracking which electronic boards offer. This is the most basic type of dart board – made from wound paper in a steel or plastic frame. They are dirt cheap most of the time and are mostly used for recreational purposes and seldom used by any professionals due to their cheap and disposable nature. You’ve probably seen these boards around, and they are the types of boards that are most often bought for kids. The reason for this is their biggest benefit – the low price. These boards are disposable, and you can easily buy a dozen for the price of one decent bristle board. When a dart sticks in a board like this it will leave a permanent hole that doesn’t ‘heal’ in any way which is the main downside, for sure. These boards are not durable and won’t last for a long time; they’ll wear out quickly. However, they’re also low-maintenance, even more than bristle boards. You don’t need to keep these boards away from a light source, for example, they will be fine, unlike bristle boards which will crack or dry out. They have no automatic score tracking either, of course, but that’s to be expected from a piece of paper. 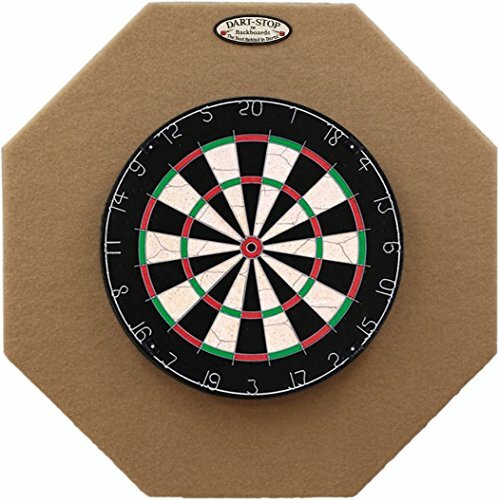 You should buy a paper dart board only if you don’t intend to use it seriously and don’t want to spend a lot of money. Otherwise, you should avoid them. 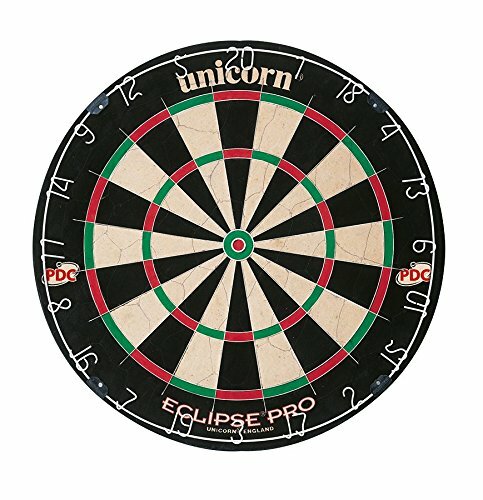 Here’s a relatively new addition to the dart board world that has quickly become popular among all kinds of players. You can often find them in clubs or bars, sports centers or amusement parks. In those places, they have all but replaced bristle boards due to the ease of use. These boards are produced by a wide variety of manufacturers, but they all work on the same basic principle. The surface of the electronic board is filled with a ton of small holes which are activated once a dart strikes into them and they record the appropriate amount of points. 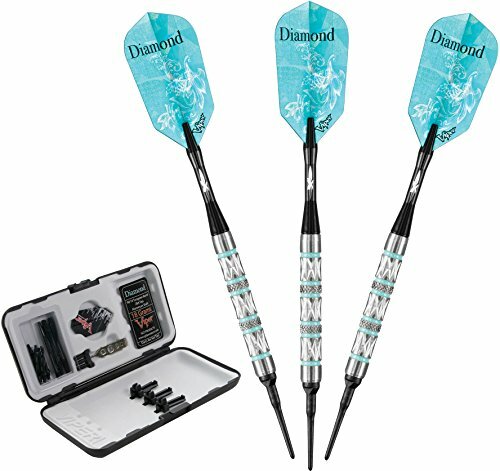 The darts used are soft tip darts which is why these boards are also called soft tip dart boards. This has made electronic dart boards a bit controversial in professional circles, combined with other concerns. 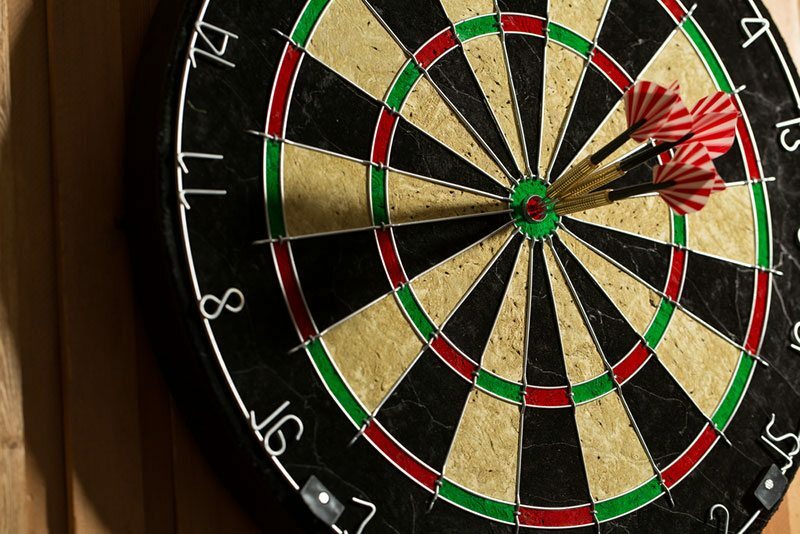 The accuracy of the automatic scoring is often put into question, as is the case of darts not hitting the mark properly, falling out or not properly sticking into the electronic board when they might have stuck into a bristle one. Of course, the main benefit of these boards is the automatic scoring that they offer. Some boards also offer permanent stat tracking as well, memorizing the details of your performance like average scores, top scores and so on. Because of this, they can be a great tool for improving your game and analyzing your performance. However, these boards can be quite expensive, especially the better models and they require a decent amount of space as well as an electrical outlet that you can plug them in, or batteries. You also need to use special darts, so your regular darts won’t cut it here. Maintenance is also an issue, and these boards are sure to break from time to time, requiring expensive repairs. 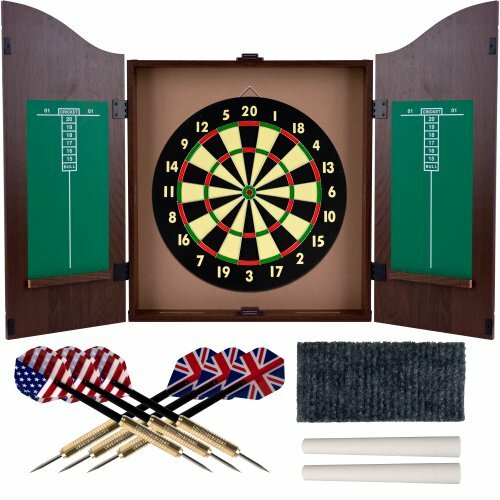 These dart boards are quite unique and are often seen as a fun, casual alternative as well as a completely different way to play darts. Thus, they’re not a good option for anyone who wants to play seriously and competitively and pros don’t use boards like these at all – but that doesn’t mean they’re bad. Unlike most boards, these are used with flat-tipped darts that don’t pierce the board at all. This is because the tips of the darts are magnetic and stick to the magnetic board when thrown at it. This is what makes them far more durable than most other types of boards and far safer too. If you want to buy a board for your kids but you’re worried about sharp dart tips, this is what you should get. They’re also great for parties where people are liable to get a bit drunk, so there won’t be any accidental mishaps involving the darts. Most of these boards are moderately priced – usually no more expensive than bristle boards and certainly not in the range of electronic ones. You won’t have to worry much about maintenance either, though the darts and the board might lose their magnetic charge over time which makes the board useless. In that case, you might as well get a new one. 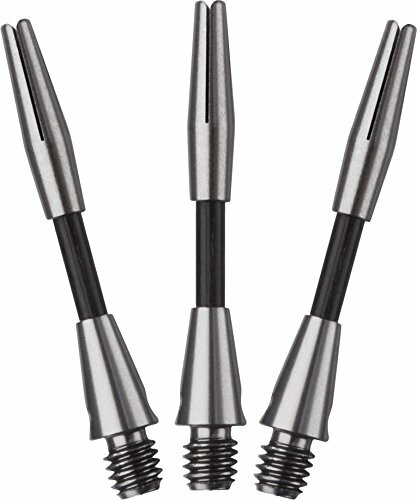 Overall, a fun and safe alternative to regular darts but not suited for anything serious. These dart boards used to be the golden standard in days of yore before electronic or even bristle dart boards existed. In recent times, however, they are used far less than before. Wooden dart boards are usually made out of elm wood – other types exist, but they are far rarer. These dart boards have fallen out of use simply due to being less convenient than bristle boards and far more difficult to maintain. Namely, wooden dart boards require regular moisturizing, lest they dry out and start cracking. Since these dart boards are made out of wood that needs to be regularly moisturized, they also tend to smell – and not in a pleasant ‘fresh pine scent’ kind of way. The manufacturers do as much as they can to reduce the odor, but it is almost always present. Wooden dart boards are also traditionally used with wooden darts and playing with them offers a distinctly different feel than playing with other types of darts. Some people like this, some don’t, it depends on your personal preference. These boards are quite durable if maintained properly though, but not significantly more durable than bristle boards. They are also quite a bit more expensive than bristle boards, making them a choice for traditionalists and enthusiasts, not for casuals. Cork boards are often mistaken for bristle boards, but they are not the same thing at all and shouldn’t be confused with one another. Unlike bristle dart boards, these are made out of cork and are more akin to paper boards regarding quality, durability, and price. However, they aren’t the same as paper boards and are a bit more durable than those and are good for playing with soft tip darts. This makes them ideal for beginners and kids, maybe even more than paper boards. Cork boards are less prevalent than both bristle and paper boards though, making them a bit harder to find than those two options. Overall, they are a bit of a halfway point between those two types. They require next to no maintenance though, another thing that makes them a good choice for beginners. If you intend to play more seriously, though, they are not the correct choice at all. Mishaps involving dart boards and stray darts often happen – way more often than they should, in fact. Most of the time this is due to no fault of the manufacturer or anything like that, it’s just because the board wasn’t properly set up. Setting up a dart board might seem like a simple enough task at first glance – you just hang it on an empty piece of wall, and you’re done! Right? You need to make sure you take the correct steps when setting up your dart board for it to be safe and for you to get a good dart-throwing experience. In fact, you need to start before you even buy the dart board you want. First, you should have a rough idea of the size of the dart board you want to buy. Next, you should pick out a space on the wall for it. This is where most people make their first mistake – not considering the surroundings. Pick a space on the wall that’s not close to any fragile objects, doors or windows. Make sure there’s nothing placed on the wall close to the space where you want the board to be. Pick an empty space that’s at least five feet wide. Now, make sure that the floor space between the board and the throwing line (also called the oche) is clear and unobstructed. The throwing line should ideally be 93.25 inches from the wall, though you don’t have to strictly adhere to that if you’re not a pro. Once you’ve picked out the right spot, you can go and get your dart board. It’s time to place it on the wall, and the optimal height you should place it at is 5 feet and 8 inches from the ground. This distance is measured starting at the floor and ending at the center of the dart board. Before you place the board on the wall, you might want to place a wall protector on it first. It can be a wooden board or a piece of plywood or Styrofoam, whatever you have lying around. It should be at least 4 by 4 feet. The board should be placed at the upper center of it. Make sure you screw the protective board to the wall first using four or more screws, so it’s stable. Place the wall bracket (it usually comes with the board) at the appropriate height, so the U-shaped recess is facing upwards. Using the center hole line up the center mark and screw it in. Use it to make sure the other four brackets are level. Line them up and then remove the first wall bracket. You can now place the dart board on the four wall brackets you just placed. Overall, that should be it. You are ready to play. And that’s about all there is to it. 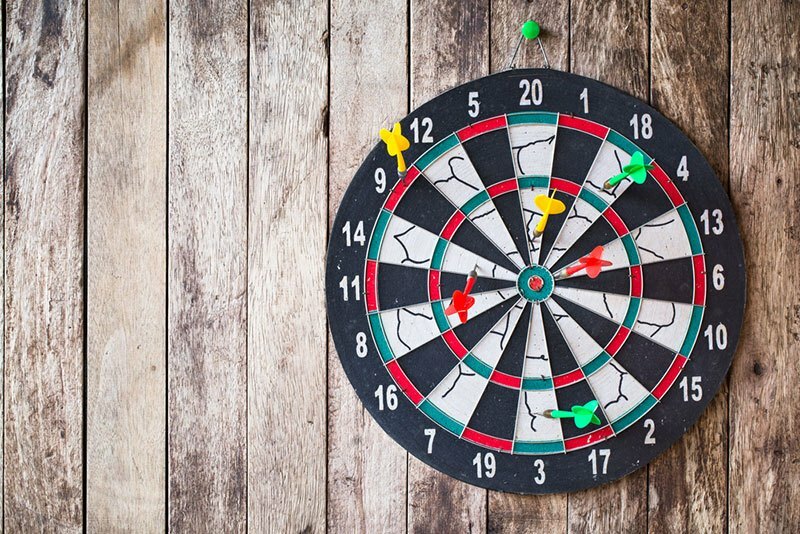 Picking out the right dart board can be difficult, but we’re confident that anyone can do it with this guide. The products we picked and reviewed are all good as well but don’t sweat it if you don’t like any of them too much – there are plenty more great ones out there just waiting to be found, and one of them will certainly be the right one for you. 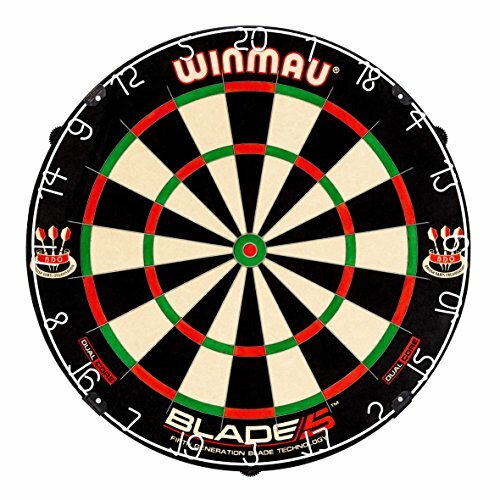 If you are curious about our final choices, here are the two best you can go: Winmau Blade 5 Dual Core (for bristle dartboard) and Arachnid Cricket Pro 800 (for electronic dartboard), both do very well in their field. If you have any questions or dilemmas or you have some advice you’d like to share, be sure to write it in the comments. Share the article if you liked it, there might be others out there who need the help. In any case, we hope this article was helpful to you and we’ll see you next time!